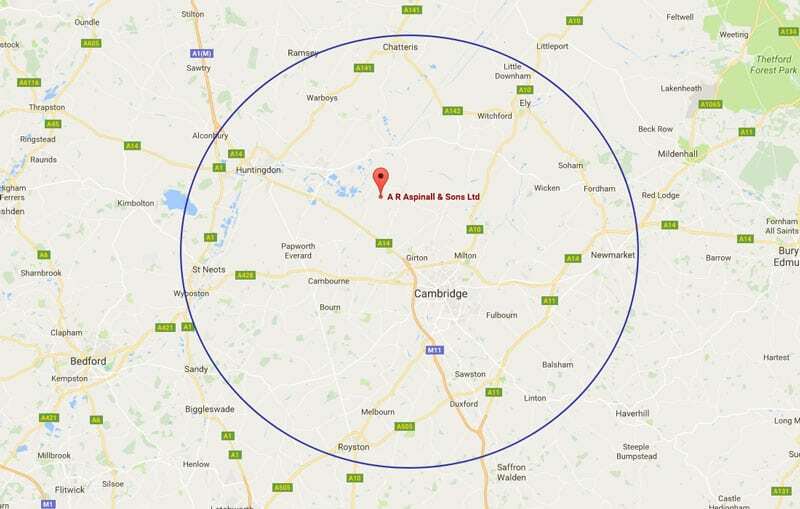 We offer a delivery option for pretty much anywhere in Cambridgeshire. Our bespoke fleet of vehicles are equipped to carry anything you wish to have delivered on site. Please see below an outline of the areas that we deliver to.